Nassau County is home to New York State's shellfishing and lobstering industry. Shellfish harvesters and lobstermen are busy year-round. 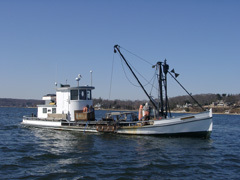 Oyster Bay and Cold Spring Harbor are home to Frank M. Flowers and Sons, Inc., one of the oldest and largest shellfish farming enterprises in the northeast. The tables of every fine restaurant in New York are graced with shellfish harvested from these Long Island waters. The oldest operating commercial fishing vessel in New York State is the oyster dredge "Waldron B" which was built in 1907. 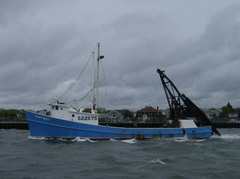 The commercial fishing industry also maintains a traditional foothold on Nassau County's south shore with sizable fleets centered in Freeport, Point Lookout and Oceanside, N.Y. The fleet located in Oceanside is largely responsible for providing the Campbell Soup Company, the Red Lobster Restaurants, the Arthur Treacher Restaurants and the T.G.I.F. Restaurants with sea clams for the variety of clam based sfood products which the companies market throughout the U.S. Without question, Nassau County's beaches are among the finest on earth. World reknown Jones Beach lies on Nassau County's south shore. As the crow flies, more than 18 running miles of white sandy beach extend from New York City eastward to the Suffolk County line. 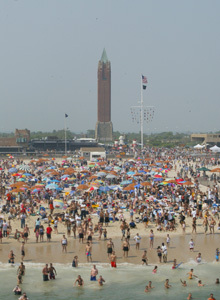 The busiest state park in New York, Jones Beach State Park, may see as many as 250,000 or more sunbathers on a warm sunny day. More people annually visit Jones Beach State Park than Yosemite, Yellowstone and Glacier National Parks combined. In addition, a host of county, town, city and village beaches and waterfront parks attract thousands of visitors throughout the year. 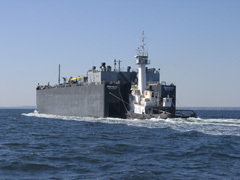 Nassau County's north shore and south shore waterways are home to numerous marine petroleum terminals which all receive bulk deliveries by coastal tanker or tug and barge traffic every day. The City of Glen Cove continues to make great progress with developement of a ferry service terminal and high-speed ferry service operating from Glen Cove Harbor. This ferry service will provide marine transportation for commuters from Long Island's north shore to the "Big Apple". Nassau County is in the Atlantic Flyway. During the late autumn and winter, our vast waterways are home to a wide variety of migratory waterfowl. As such, sportsmen choose to hunt waterfowl in our waters and regularly come from as far away as the Midwest to do so. Recreational fishing for inshore species such as winter flounder, fluke, bluefish, striped bass, blackfish, porgies and weakfish abounds in our inshore waters. The county's offshore waters also provide for some of the finest sportfishing in the northeast. 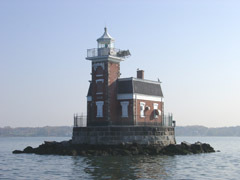 Nassau County is home to the United States Merchant Marine Academy which is located on the shores of the Village of Kings Point where Little Neck Bay meets the Long Island Sound. This venerable institution has been training the professional mariners of our nation's merchant marine service and for those of many other nations since 1936. 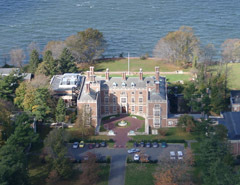 Further east and overlooking the Long Island Sound on the shores of Glen Cove is the Webb Institute. The Webb Institute is, perhaps, the premier naval architecture school in the United States. Both of these fine institutions are an important part of Nassau County's maritime history. Freeport, New York still maintains the distinction of being the busiest recreational boating port on Long Island. Freeport is also the home port for a multitude of tour boats, charter fishing vessels and marine casinos. 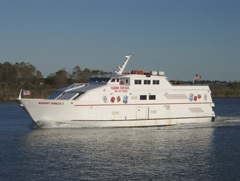 Marine casinos are large commercial vessels that may carry as many as 500 passengers for gambling voyages which occur daily just beyond Nassau County's southernmost boundary in the Atlantic Ocean. The gambling vessels transit area waterways and pass outbound and inbound through Jones Inlet twice each day. 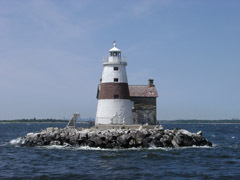 For decades, marine events such as Operation Sail (Op Sail) have drawn marine interests and tallships to the Long Island/New York metropolitan area from all over the globe. The ships and their crews have berthed in many of Nassau County's harbors as part of such events, thereby placing our county in the role of international host. Our waterways have now become accustomed to such events, to arriving masted ships, and to many foreign visitors.